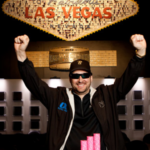 It’s indisputable that Phil Hellmuth is and will forever be one of the legends of poker. 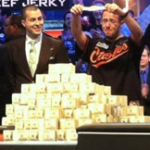 A bona fide Poker Hall of Famer who sits at or near the top of pretty much every all-time career achievement list that matters in poker (e.g., money won, WSOP bracelet wins, WSOP cashes, etc. ), it’s no wonder that Hellmuth is one of the few stars who has been able to transcend the game itself and cross over into mainstream notoriety. Like many celebrities, he’s got his legions of Twitter followers – almost 160,000 as of this writing. I found it interesting though that the Poker Brat follows precisely 13 other people on the 140-character social networking hub. It’s specifically intriguing because 13 is also the current number of WSOP bracelets he holds. 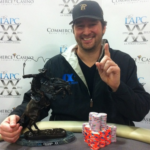 The 13 accounts Hellmuth follows can be broken up into 3 distinct groups: the Pro Poker Players Group, the Professional Athletes Group, and the Bay Area Power Players Group. 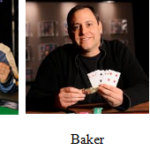 Fans of the Cardplayer Lifestyle poker blog are probably familiar with all of the names in the pro poker players group. Combined, they’ve won 21 WSOP bracelets and have recorded tens of millions of dollars in cashes playing tournament poker. 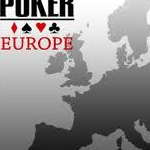 It’s fairly reasonable to assume that they’ve also combined to win countless tens of millions more in lifetime live and online cash game play. It’s public knowledge that Hellmuth has cultivated friendships with all of the pro poker players on his Twitter “follow” list for a long time. Poker purists might make the case that perhaps Shaun Deeb is the outlier among that group, but there’s no arguing that Deeb’s definitely got some solid poker credentials, especially on the online poker front. 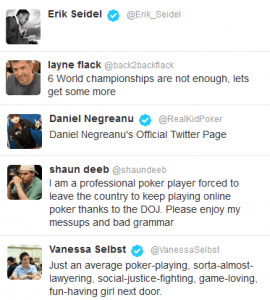 Definitely one of the more outspoken pros in poker, it speaks specifically to Deeb’s credit as a player and person that Phil Hellmuth feels he’s worthy of following on Twitter. 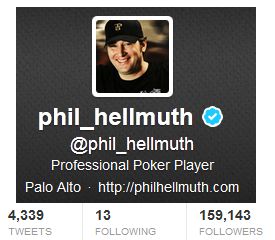 That Phil Hellmuth follows the Twitter account of Tiger Woods should be no surprise. While the jury’s still out as to whether Woods is the greatest golfer of all-time, his 14 majors and 78 PGA tournament wins speak for themselves. Unquestionably still at (or near) the top of his game and still in his mid-30s, those Major and tournament wins numbers certainly aren’t final tallies… much like Hellmuth’s numbers… Notably, it’s not as though it’s just Hellmuth who is a fan of Woods; it’s a two-way street as they’ve worked together at charity poker events. As a matter of fact, this Friday, Woods will be hosting a charity poker tournament in Las Vegas to benefit the college access programs of his Foundation, which will be emceed by Hellmuth. 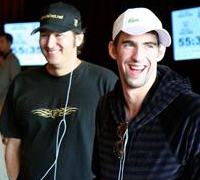 The same holds true of Hellmuth following Michael Phelps’ Twitter account. Phelps, of course, is the world’s most decorated Olympian of all-time with 22 Olympic gold medals to his credit. He’s also always been a big fan of poker and has played in his fair share of high-profile tournaments and events, including the WSOP. Do a Google search on “Hellmuth Phelps” and you’ll see that Phil has been very complimentary of Phelps’ skills at the felt. As for Dustin Johnson and David Lee, both are highly accomplished pros in their own right, Johnson in golf and Lee in basketball, respectively. Though Wisconsin-bred, Hellmuth has long called Northern California’s Palo Alto his full-time home, and his fans know that he is a huge supporter of the NBA’s Golden State Warriors; Lee is most probably his favorite player. Moreover, Hellmuth has been an outspoken fan of Johnson’s ever since 2010 and he sure puts his money where his mouth is to boot, even at 23-1 odds, so that Twitter follow is also kind of a no-brainer. Okay, I was a bit hard-pressed to come up with a name for this group of 3, but what they all have in common are their high profiles and their ties to the Bay Area and Palo Alto, which, as mentioned above, Hellmuth calls home. Hellmuth, like most red-blooded American males, is a sports fan who loves his home teams, which for NBA basketball would be the Warriors and for NFL football would be the 49ers. So his Twitter following of 49ers CEO Jed York and Warriors Owner Palihapitiya is understandable. Moreover, in the past, York invited Hellmuth to give a pep talk to the team. For someone of his stature and prominence to be rooting for those teams, it’s “only right” that his connection would go as high as the teams’ head honchos. According to his tagline, Palihapitiya is also a poker player, so that’s something else the two have in common. 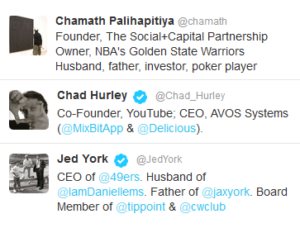 Interestingly, it was at a sports game that Hellmuth made his connection with Chad Hurley, the co-founder of Youtube. About 4 years ago Hurley invited Hellmuth to have his own channel on the world’s #1 video sharing platform, so my guess is that Hellmuth “returned the favor” by following Hurley on Twitter. Wait, That’s Only 12 Twitter Accounts…! Astute observers will notice that there are only 12 names listed in the table above and that have been discussed thus far. The 13th Twitter account belongs to Alpha Rush, which is an investment management firm for high net worth individuals. Indeed, Hellmuth’s made many millions over his poker career. If he’s learned anything at the felt in all that time, it’s the importance of protecting and preserving a big stack, which is what Alpha Rush seems to be all about. Is #14 Waiting in the Wings This Summer? The common thread among all the Twitter accounts Phil Hellmuth follows is pretty clear: all those people are proven winners in all walks of life. So, it’s no accident that it’s with those kinds of people who poker’s all-time best associates himself.